The Formula 1 races in Russia will take place on the coast of the Black Sea in Sochi city. The agreement that Sochi will host the Russian Grand Prix between 2014 and 2020 was endorsed with F1 Supremo Bernie Ecclestone. 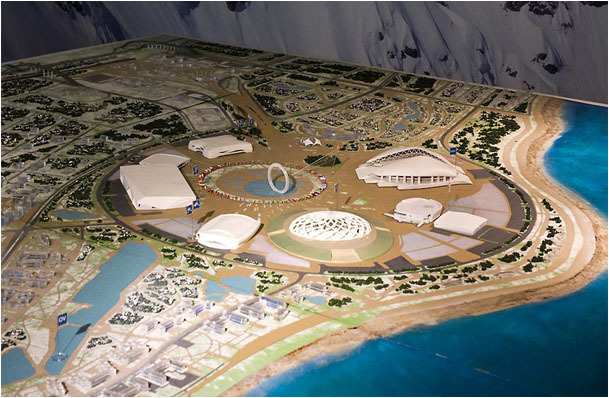 Sochi will also be the global venue for the Winter Olympic Games in 2014 and the infrastructure build for the Olympic needs will consequently maintain the F1 races. Ecclestone has expressed his satisfaction towards the exceptional level of facilities. “I sincerely hope that Formula One is going to play a big part in what I can see happening in Sochi”, Ecclestone says. The obvious opportunity for 5 year contract extension will be executed in the nearest future. The Russian Prime Minister Vladimir Putin considers this event to be exclusively important because it enables to take an effective advantage of all the preparations made for the Olympic Games 2014. Putin met business leaders to encourage them in backing up the grand prix. The first races will take place in the end of 2014 after Olympic Games but Deputy Minister Dimitry Kozak remarked the possibility of postponing the races for 1 year that is to start in 2015. One of the leading DMC leaders and Sport Event Managers in Russia, BtG Event Solutions, offers professional travel assistance to experience high quality services and unforgettable moments by the Formula One in Sochi. At this moment BtG is actively engaged in promoting Winter Olympic Games 2014 within European and North American sport markets investing a lot of efforts in Sochi marketing all over the world. Due to BtG's vast and profound background in sport event business Formula 1 will be handled in accordance with highest hospitality and international MICE standards.